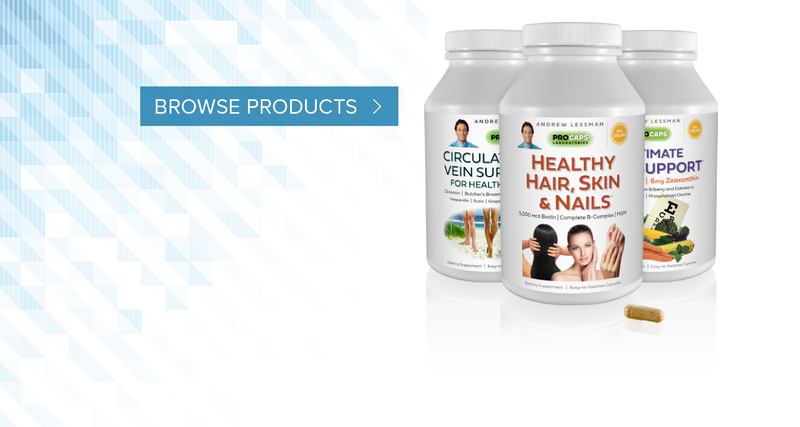 COENZYME Q-10 200 MG .. ESSENTIAL-1 ,, MARINE COLLAGEN ,,, ESSENTIAL OMEGA-3 a FRIENDLY FLORA ; HAIR, SKIN & NAILS : NIGHT TIME :: WOMEN'S WELLNESS ;; CIRCULATION & VEIN . CoQ10 where have you been all my life? 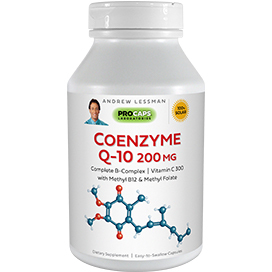 Andrew Lessman's CoQ10 is the best on the market. I love all of Andrews products. 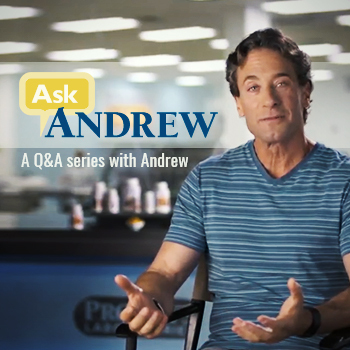 I have tried other brands of CoQ10 in the past and they did NOTHING for me...I decided to purchase Andrew's version of CoQ10 and what a BIG DIFFERENCE it has made in my life! Within just a few days of taking ONE tablet a day of the 200 mg; my energy levels have skyrocketed! Before, I could hardly get out of bed...NOW after taking Andrew's CoQ10, I feel great with so much energy and a better outlook on life! I just reordered; but a bigger bottle this time...I will take this stuff for the rest of my life! Thank you Andrew. 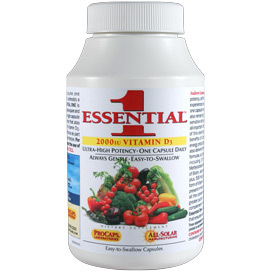 I have tried many, many multi-vitamins over the years but this product by far is the best. The pills are easy to swallow and do not have an aftertaste. 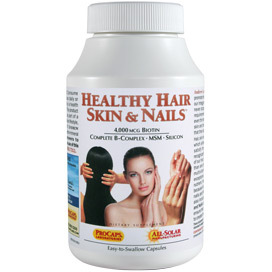 I take these with the Omega-3 product (awesome product as well) and have found that my hair is shinier and my nails are stronger than they have ever been. I am so happy I stumbled across ProCaps... I will never buy another drugstore brand again. Thank you ProCaps! I love these daily vitamins. I love that you only need one a day. I take it with my breakfast every day and I notice when I don't take them as my energy level is not as good. I also like the amount of vitamin D, so I don't have to take another supplement. The only other vitamin I have to take is calcium, so it's so easy now. I'm not fiddling with a bunch of bottles and pills. 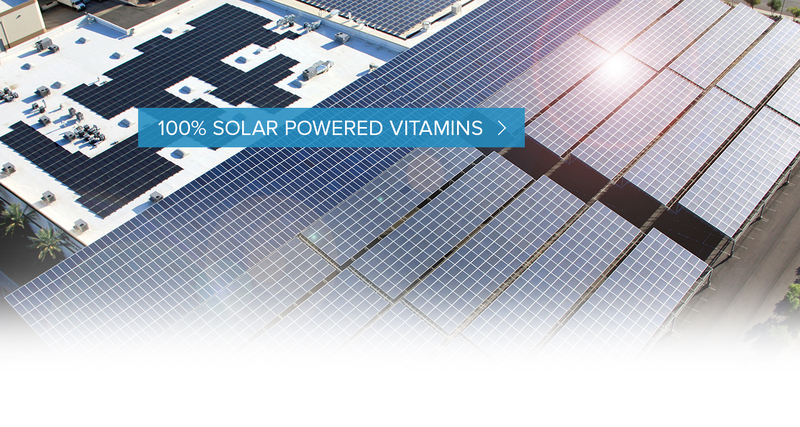 And I love that they are a quality product made with solar energy. 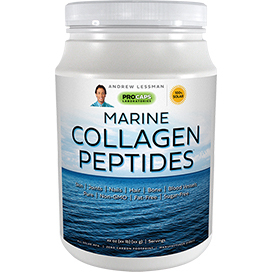 I ordered Andrew's Marine Collagen Peptides the first time it was offered. I will never be without it. I use two scoops a day. I start my day with two scoops in hot coffee or hot Andrew's Jasmine Infused Green Tea. My skin looks better and my joints feel better. Honestly I purchased because Healthy Skin and Nails works so great (have taken it for years) and Collagen has long been associated as a beauty maker. However, my joints have reaped soothing benefits of this product. Now, I purchase for both my joints and skin. I started using this product about 9 months ago and it has been a worthwhile addition to my morning (Secure) protein shake…My skin has had the most dramatic improvement-smooth and wrinkle free on my face, neck everywhere; I have even noticed surgical scars diminish! My hair and nails have are smooth and strong. I have had joint issues with my hands, shoulders and back but now I don't; I'm able to exercise and work in my garden with no worries. 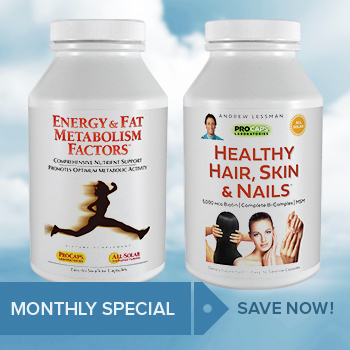 Overall, this product is proof that it's about what you put into your body rather than what you put on it to improve your vitality. 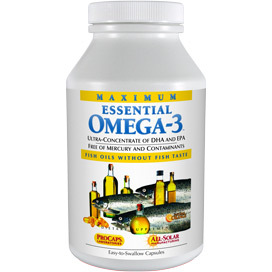 I have been told by many physicians that Fish Oil is one of the best supplements you can take for your health. (It's also essential for great looking skin - which is probably more important to me than my health!) I've tried all different brands and after just one dose, I'd be sick to my stomach and quit taking it. 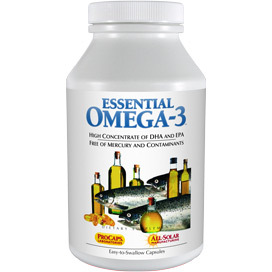 The Essential Omega-3 is unlike any other brand...it doesn't make me sick! I take the one with the Orange Extract and I don't taste anything at all- especially no fish! This product is the only one that doesn't upset my stomach. I will be on this for life - and I'm only 27! FINALLY a product that does not have a terribly fishy aftertaste. 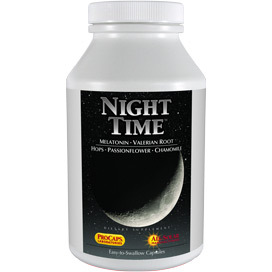 I stumbled across ProCaps late one night on TV and ordered a bottle of the non-flavored Omega-3. I was skeptical at first because I have tried a lot of different products that claim no aftertaste, no upset stomach... and now I found a product that lives up to its claims. I experienced no fishy aftertaste and my stomach is just fine even when I take them on empty. Thank you ProCaps. 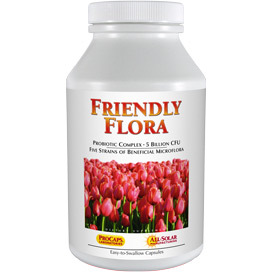 Friendly Flora is yet another fantastic product from Andrew Lessman. I was going through some pretty harsh digestive issues and couldn't understand why. 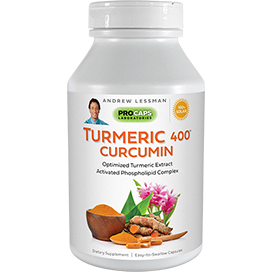 I tried OTC remedies before without success until I found this product. I can tell you personally that this product works and works well. I know everyone is different but this really did work for me. It is a breath of fresh air to see someone who actually cares. Thank You Andrew!!! 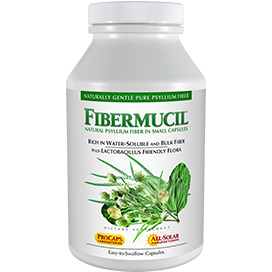 I've had IBS for many years and have tried all kinds of things from diet to prescription medicines. I've been using this product for some time now and it really works for me. 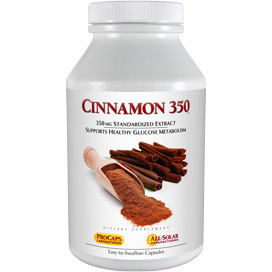 I know that supplements are not a cure... but this product gives my digestive system what it needs to function normally. 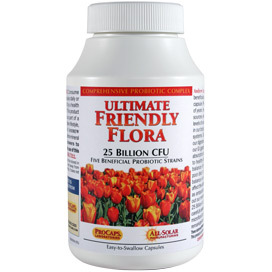 These vitamins are by far the best vitamins on the planet. I used to have dry, broken unhealthy hair and my nails never seem to grow... I started taking Hair Skin & Nails and within a few short weeks I noticed my hair has shine again, is healthy and is actually thicker. My nails grow beyond belief and are stronger than they have ever been. Andrew, I will never be without these. Please don't ever stop making them. Excellent product. Before I started taking the ProCaps Healthy Hair Skin and Nails I was taking the Discount Warehouse brand (for over a year!!!!) I started taking this product about 3 or 4 months ago and I have seen AMAZING results, my nails are so long (they do not typically grow, and when they do, they have been brittle and they split or break) and they are SUPER strong! My dry skin is also much better and of course my hair is growing. I love this product! I had to take Benadryl every night for years just to fall asleep but always felt groggy every morning and dehydrated. 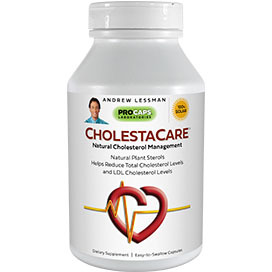 When I first decided to take this I was skeptical but now I love this product. It relaxes me and I sleep soundly each night and wake up refreshed. It took me a few days to really appreciate its benefits but I am so glad I decided to try it. I am now a loyal customer to this product. Thank you. I cannot live without this product. I am 50 years old and have used this product for over 3 years. I have tried so many other products. This is the best and it works! I have no hot flashes or night sweats. My friends are now using it and can't believe how well it works. 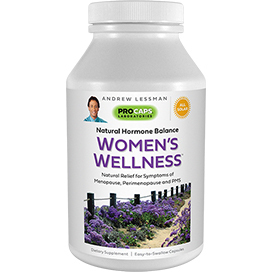 I have been using Women’s Wellness for two years with great results and have recommended it to all of my lady friends that suffer needlessly with hot flashes. It absolutely works and is a life changer! I just turned 50 a couple of months ago and the hot flashes started hitting me hard at night. I turned to Women's Wellness for help... I've been taking them in the morning for a week now and the hot flashes at night are getting fewer and fewer. My legs hurt so bad after a day at work (standing) that I had trouble driving home because of the pain. I could hardly get out of the car to get into the house and once inside I plopped down and couldn't even get back up. Sleep was impossible. I thought I was going to have to give up my job. 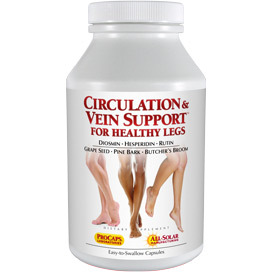 Then I found Circulation and Vein and my leg pain is virtually gone...on an extra-long day I take 3, but most days 2 work great. I even walk after work now....THANK YOU Andrew you saved my job and my sanity. For the past several years, my legs began hurting after I was on my feet for more than an hour or so. The doctor told me to wear support hose, which I had for years previously. The pain got to be so bad that I would limit my walking and standing and/or would sit with legs raised between errands to rest them. 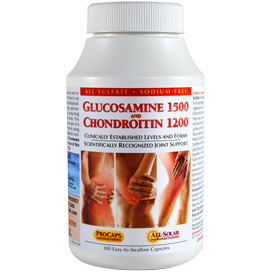 After about a month on this product, the pain completely went away and I can now do and go where I want to... I would not have believed it had I not tried it for myself. Thank you Andrew.